My Brother Rabbit from Artifex Mundi is an absolutely beautiful adventure game that has shocked me with how good it is. Disclosure: Key provided to our Steam Curator. It delivers an interesting mix of an adventure game, a hidden object game and some puzzles to create a relaxing and beautiful experience overall. I'm honestly not usually fussed by hidden object games, but My Brother Rabbit is done exceptionally well. It's massively helped by the atmosphere and the setting, with some beautiful music from Arkadiusz Reikowski who also worked on Layers of Fear, Observer, The Forest and plenty more. Worth noting though, there seems to be no hint feature so it might take some of you a while to find the needed objects. It's not particularly difficult and not long between 2-4 hours, but even so it was a lovely experience. 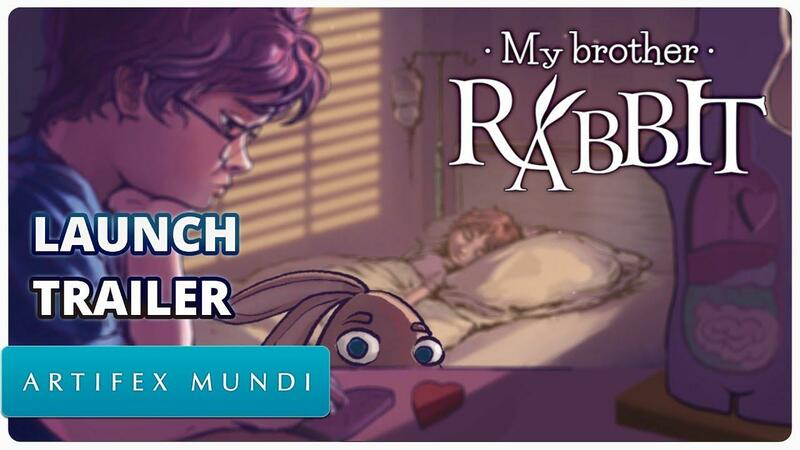 If you like hidden object games or you fancy trying a modern one, My Brother Rabbit is one to stick at the top of your list. The Linux version is flawless, no issues found. This does look interesting, however *Artifex Mundi* bundle their games so quickly. I wonder why they do not offer better discounts on Steam instead. I guess they do get platform usage feedback from all those keys they sell through bundles though, I do appreciate they continue to support Linux. I have 33 of the Artifex Mundi Linux games and have always found them to be of good technical quality. They obviously do a really good QA test of their products, as other than the occasional American English names for objects (not British names), there are never any problems. This product must use a different engine to their standard HOG series engines, so I am very pleased that they are now using their great talents to do new styles of games. Definitely a buy for me. An Artifex game with Spanish language support and same hardware requirements for Linux and Windows? Interesting, indeed.. Very cool to see a day-one DRM-free release from Artifex Mundi. I’ve wishlisted it on GOG. Not a fan of the story though, but I’m sure the object hunting will be fun. "as other than the occasional American English names for objects (not British names)"
This is of course not inherently wrong, so I assume that this occurs with British English selected as the language or is inconsistent with other parts of the game? This is definitely graphically an improvement over previous Artifex Mundi games, looks awesome!